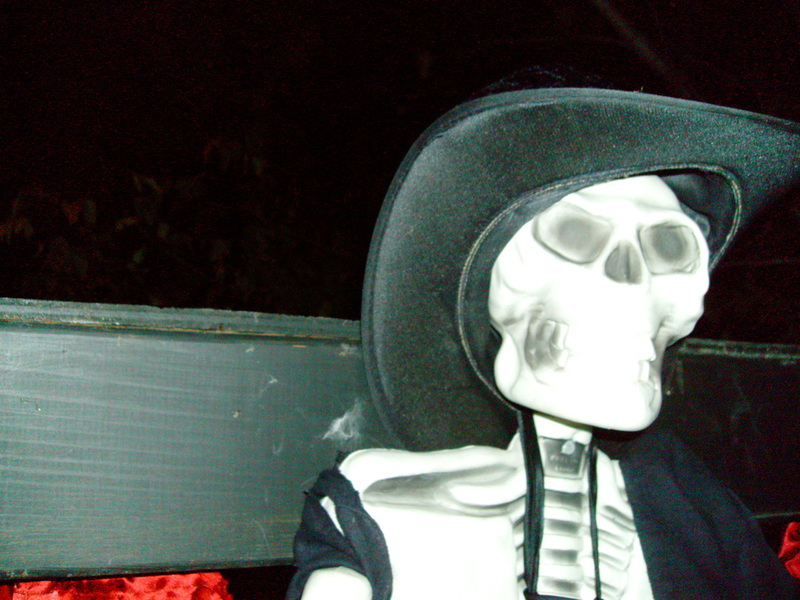 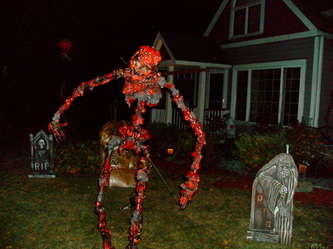 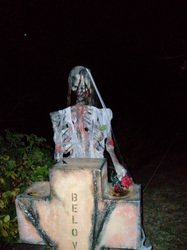 Dead End Cemetery is a yard display located in Roselle, IL. 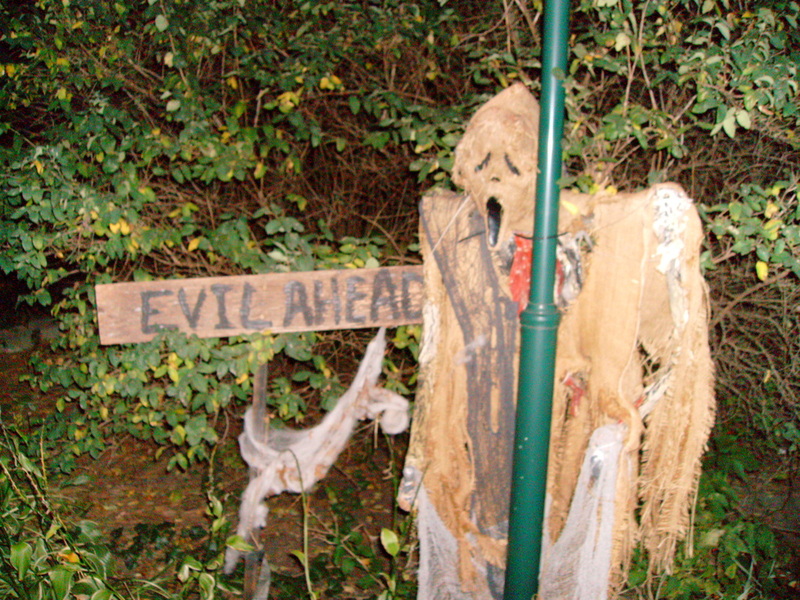 This display was new for the Tourers in 2012, as the Roselle area was one we had not explored much in recent years. 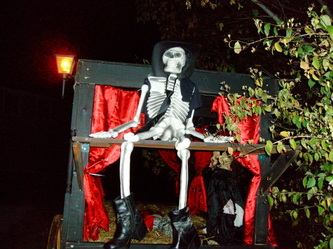 Overall, our trip to the region was excellent, with a number of great new displays, so we will be returning. 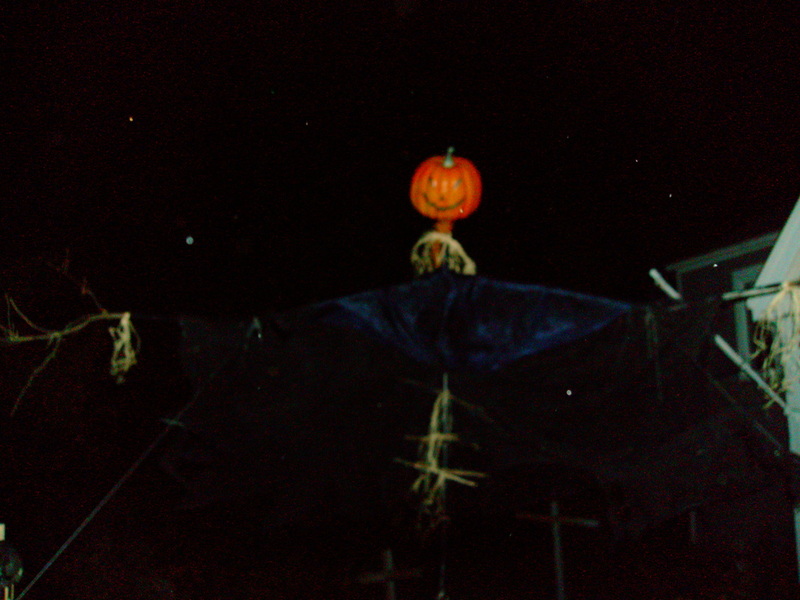 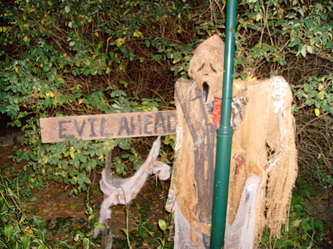 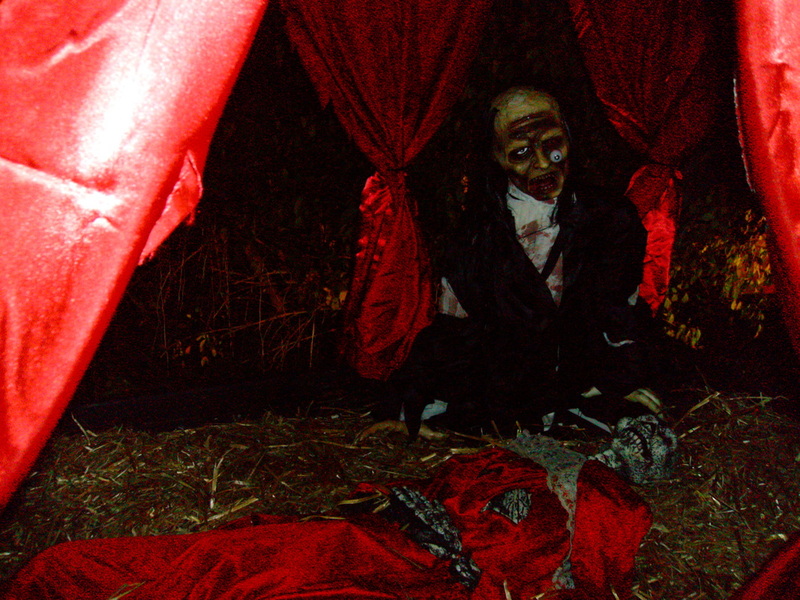 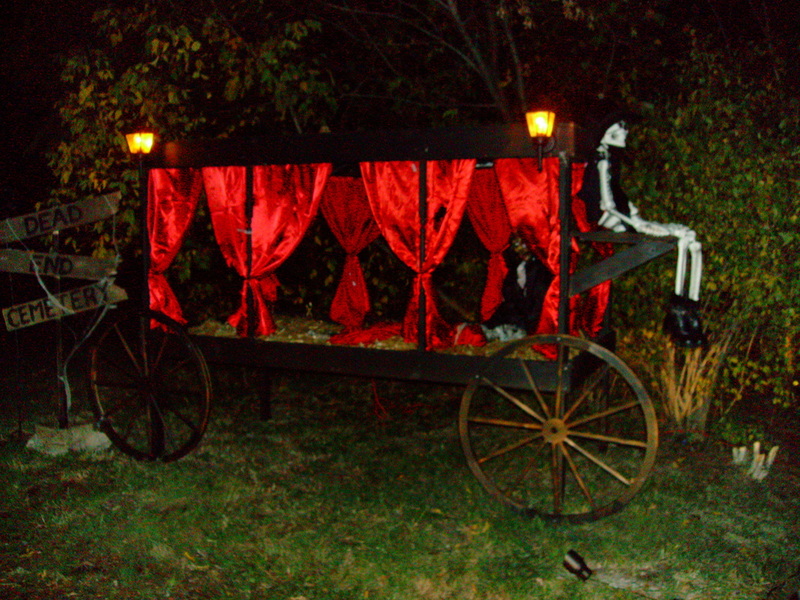 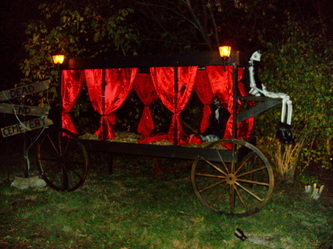 This specific display is located on the corner of a dead end street, which gives rise to the haunt name. 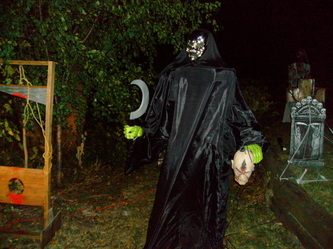 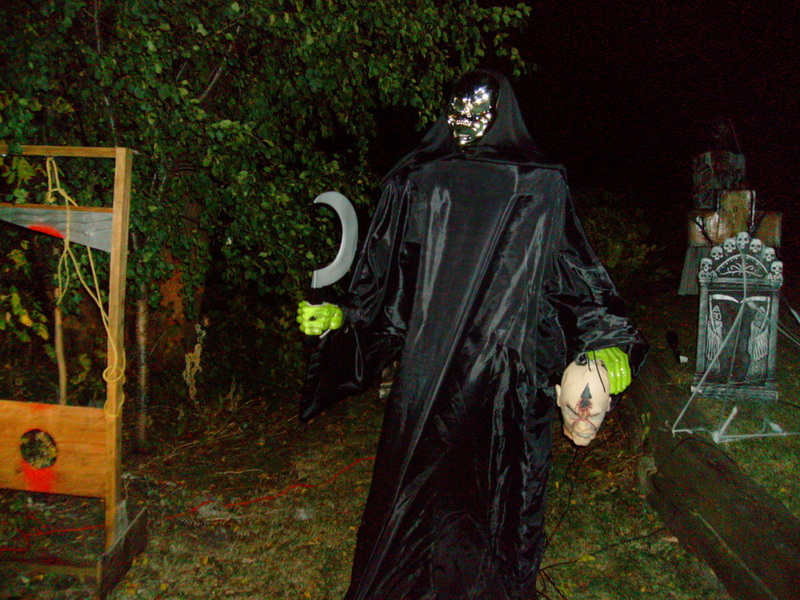 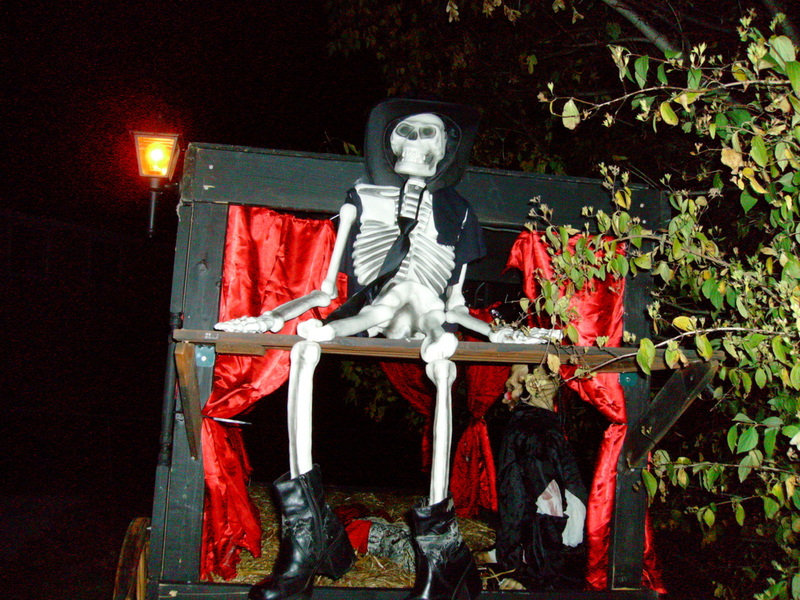 It features a giant spectral figure topped with a Jack-O-Lantern head presiding over the entire yard, a skeleton driving an antique hearse, a shiny golden-faced skull as the Grim Reaper, complete with scythe and severed head, and a large melting skeleton. This melting skeleton looks as though it has been severely burned, with flesh dripping off of it. It was something we had not encountered before and was certainly the most memorable part of the display. Overall, if you are planning a trip up to the northwest part of Illinois, Dead End Cemetery is worth a look.